As one of the most important rooms of any home, it's important that your bathroom is practical to use on a regular basis. Besides the obvious things like showers and suites, there is another essential item you need to consider; bathroom cabinets. 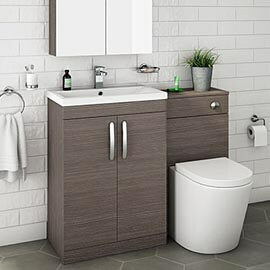 In our bathroom cabinet buyer's guide we'll explain what your options are when choosing bathroom storage and why it will be beneficial to you. 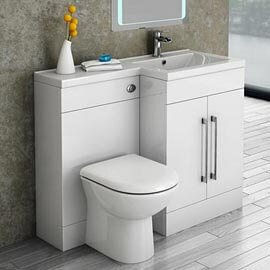 There are plenty of styles available for you to choose from when you're buying bathroom cabinets. They come in a range of shapes, sizes and finishes but there are loads more features too. 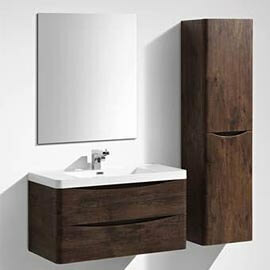 Below you'll find the different types of bathroom cabinets available. Drawer units: This is the most basic option. These units are designed to offer great practicality, allowing you to keep all your toiletries neatly stored out of the way, keeping the bathroom clutter free whilst adding a touch of style to it in the process. 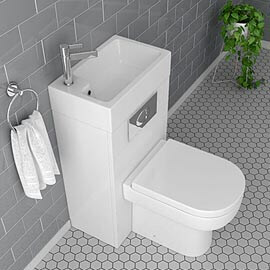 Freestanding units: These come in numerous styles, such as tallboy units and open base units. There's also display cabinets which have glass windows in the doors so you can arrange your selection of shampoos and lotions neatly for everyone to see. Tall storage units: A great choice for all bathrooms, these taller bathroom cabinets allow you to keep your bathroom tidy by storing a wide range of products whilst using little floor space. Lots of shelves offer a variety of storage options inside. Wall hung cabinets: If you want to save space, or have a smaller bathroom then these units are ideal as they won't take up any floor space. They're also ideal if you have small children and want to keep any medicines or razor blades safely out of reach. Mirrored cabinets: Ideal for when you need to shave or apply make-up in a morning. 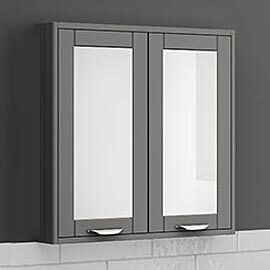 Wall hung bathroom cabinets are a very practical upgrade for any home; some of them even feature built-in shaver sockets and digital clocks for additional functionality! Can I match various bathroom cabinets together? Of course! 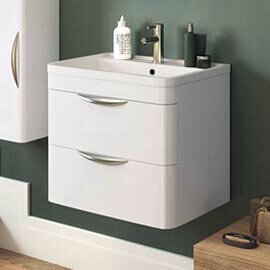 In fact many of our bathroom cabinets and storage fixtures have been designed to complement each other perfectly. Adding matching furniture is one of the best ways to give your bathroom a sleek, designer edge. You can create a bespoke finish that will be the envy of all your friends! Is there any assembly involved? Many of our cabinets and storage solutions are supplied rigid instead of being flat packed so you won't need to worry too much about putting things together. Just make sure to double check the product description of any item you're interested in as this should explain whether you need to assemble it or not. 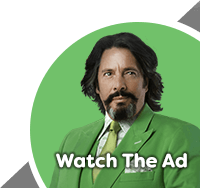 Remember we're always on hand should you want to ask a human being or check out our questions and answers on each individual product page.